This story appears in the Winter 2016 issue of the Life.Giving.Breakthroughs. donor newsletter. 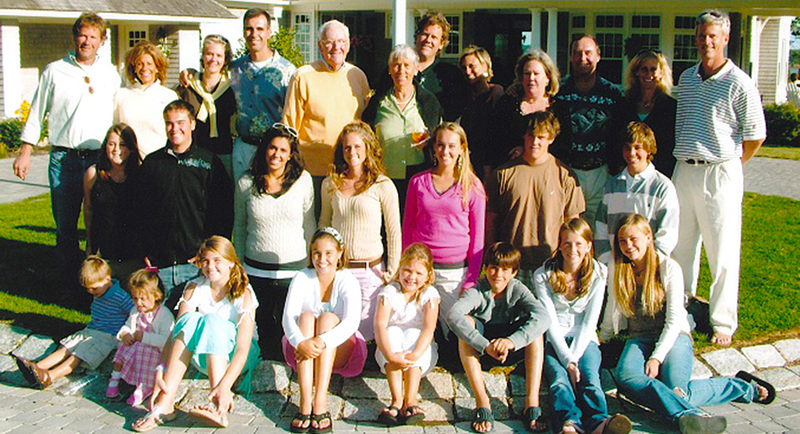 “The 12 proudest moments of our lives happened here: the births of our three children and nine grandchildren,” says Judie Schlager, reflecting on the half-century relationship she and her husband, Larry, have had with Brigham and Women’s Hospital (BWH). She also cites life-saving surgeries, primary care visits, and innovative treatments that have made a difference to their family. To show their collective thanks to BWH, the Schlager family—including Judie and Larry, and their children and spouses, Robert and Amy, Eric and Beth, and Joan and Mark Weinsten—recently pledged $2 million. This generous contribution builds upon decades of philanthropy to BWH. Under the direction of Mehra Golshan, MD, this endowed fund will provide invaluable assistance for patients who face financial hardship related to breast cancer surgery, from housing to medications not covered by insurance. The gift will also name the Schlager Family Innovation Hub, located in the main lobby of the Brigham Building for the Future, scheduled to open this fall. The research and care facility will enhance the collaborative spirit the family greatly admires at BWH.